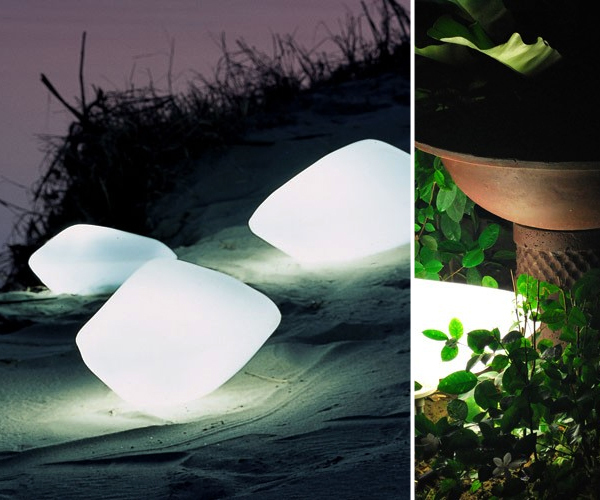 Available from YLighting – priced at $565.50 each. 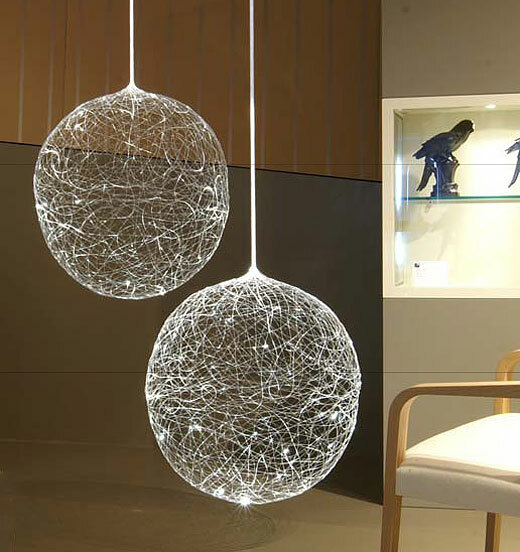 The Laluna light is made up of strands of fiber optics. 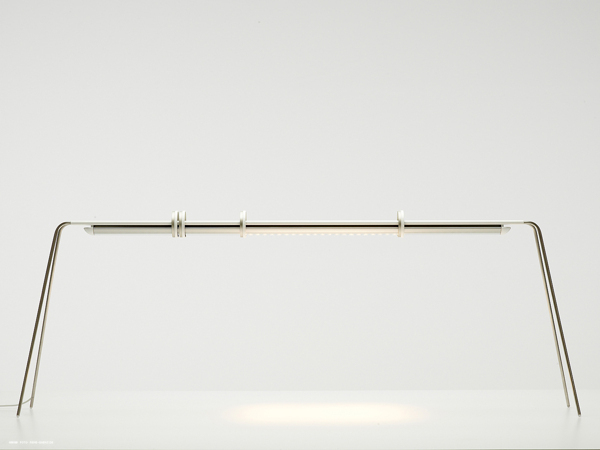 This delicate looking light piece was designed by Steffen Bauer for Crescent Lighting. It uses halogen or LED lights, which are installed into the ceiling or another room. The lights can power a number of these fiber optic light fixtures. The lights can also change color, which will change the color of the Laluna. 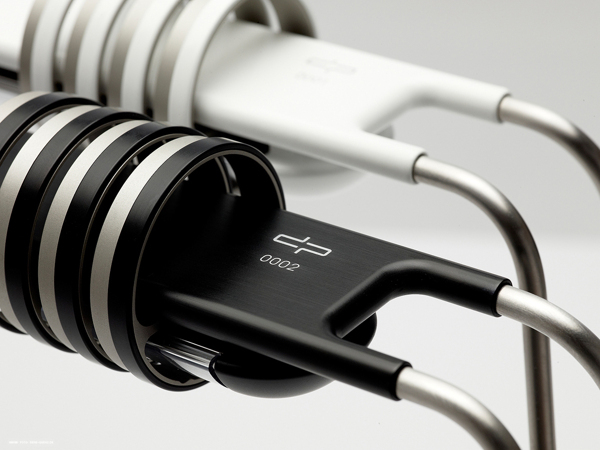 It comes in two sizes, 15.5 and 23.6 inches, and is priced at $1000 to $1200. 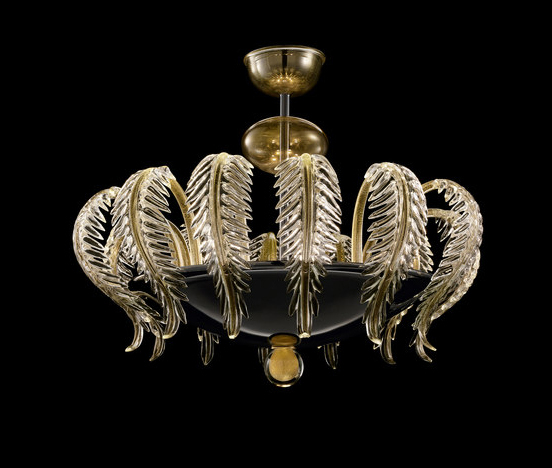 The Caladium by Barovier & Toso is a classically inspired pendant light. It is decorated with elegant leaves that are lit by an LED light while 3-8 spot lights provide lighting for the room. 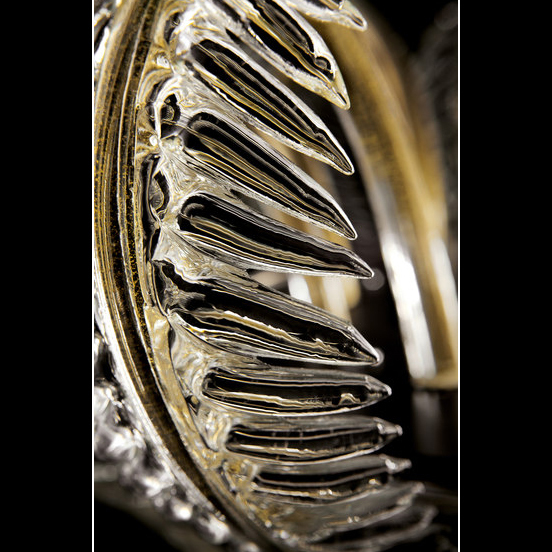 Available from Architonic in crystal/gold or crystal/silver. 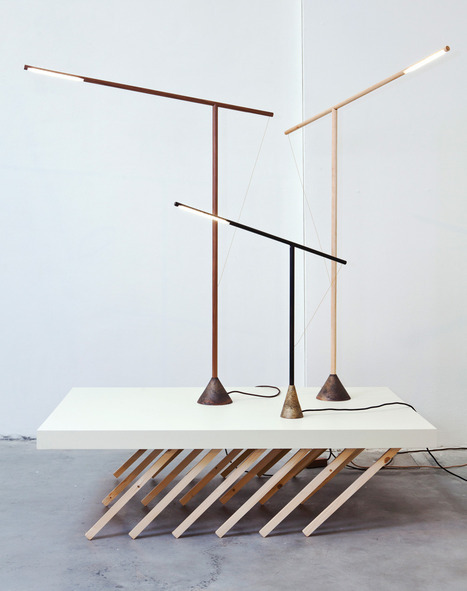 Here is a unique lamp concept by Mieke Meijer – a lamp that will only light up when it is perfectly balanced. 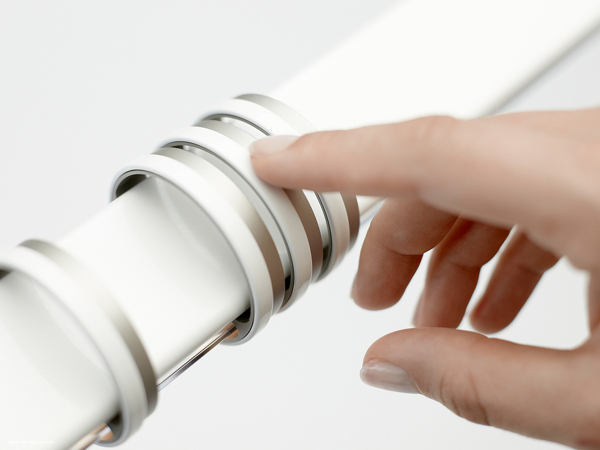 Asides from the Zen like functionality of the lamps, the design is also very Zen like too. 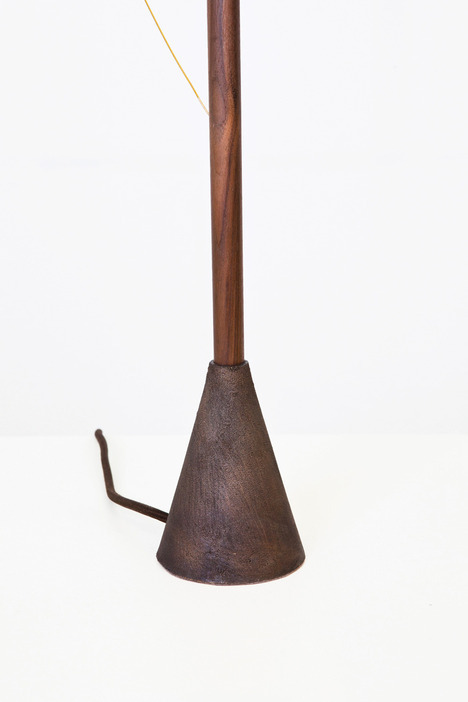 Made out of Walnut wood and cast bronze, the Balance Lamp resembles Japanese architectural styling. It is available as a table or floor lamp – site.